Board of Directors Approves Share Repurchase Program up to an Aggregate of&nbsp;$500 million PEMBROKE,&nbsp;Bermuda--(BUSINESS WIRE)--Nov. 10, 2017-- The Board of Directors of&nbsp;RenaissanceRe Holdings Ltd.(NYSE: RNR) announced today a quarterly dividend of&nbsp;$0.32&nbsp;per common share on its common stock.  PEMBROKE, Bermuda --(BUSINESS WIRE)--Oct. 5, 2017-- RenaissanceRe Holdings Ltd. (NYSE:RNR) will conduct an investment community conference call on Wednesday, November 1, 2017 , at 10:00 a.m. ET to discuss its financial results for the third quarter of 2017, as well as the Company's outlook. PEMBROKE, Bermuda --(BUSINESS WIRE)--Oct. 4, 2017-- RenaissanceRe Holdings Ltd. (NYSE:RNR) (“RenaissanceRe” or the “Company”) today announced it anticipates an initial estimated net negative impact of $625 million from Hurricanes Harvey, Irma and Maria and the Mexico City Earthquake. Board of Directors Approves Share Repurchase Program up to an Aggregate of $500 million PEMBROKE, Bermuda --(BUSINESS WIRE)--Aug. 2, 2017-- The Board of Directors of RenaissanceRe Holdings Ltd. (NYSE: RNR) announced today a quarterly dividend of $0.32 per common share on its common stock. Board of Directors Approves Share Repurchase Program up to an Aggregate of $500 million PEMBROKE, Bermuda --(BUSINESS WIRE)--May 17, 2017-- The Board of Directors of RenaissanceRe Holdings Ltd. (NYSE:RNR) announced today a quarterly dividend of $0.32 per common share on its common stock. PEMBROKE , Bermuda --(BUSINESS WIRE)--Apr. 12, 2017-- RenaissanceRe Holdings Ltd. (the “Company”) (NYSE:RNR) today announced the estimated impact of the U.K. Ministry of Justice’s recent announcement of a decrease in the discount rate used to calculate lump sum awards in U.K.
PEMBROKE, Bermuda --(BUSINESS WIRE)--Apr. 7, 2017-- RenaissanceRe Holdings Ltd. (NYSE:RNR) will conduct an investment community conference call on Wednesday, May 3, 2017 , at 10:00 a.m. ET to discuss its financial results for the first quarter of 2017, as well as the Company's outlook.